The original voice behind 'Kim Possible' will be joining the live-action remake! What’s the sitch? The original Kim Possible has joined the cast of the live-action remake! It was reported by Variety that two very familiar faces will be coming back for the new live-action remake of Kim Possible: Christy Carlson Romano and Patton Oswalt. We’re beyond excited to see some familiar faces, uh, voices, making their appearance in the upcoming film, but that’s not the only casting news we’ve heard. We recently reported that newcomer Sadie Stanley and The Goldbergs star Sean Giambrone will play the role of the fearless duo of Kim Possible and Ron Stoppable. It was also reported that most of the main characters for the film have already been cast, including How I Met Your Mother‘s Alyson Hannigan, who will play brain surgeon Dr. Ann Possible (aka. Mom Possible), Connie Ray as Nana Possible, Todd Stashwick as Kim’s arch-nemesis, Dr. Drakken, and Taylor Ortega as Dr. Drakken’s sidekick, Shego. 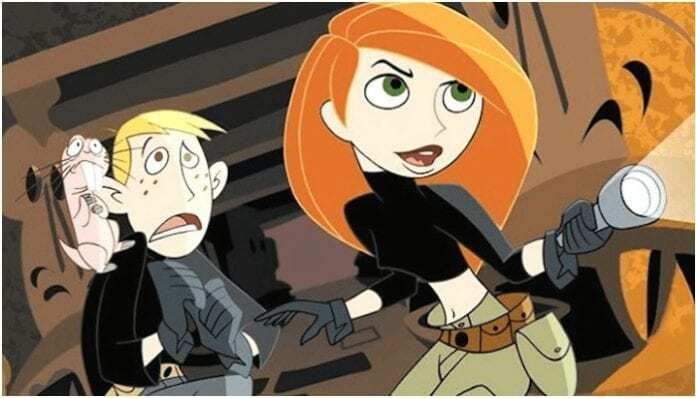 Kim Possible aired on Disney Channel from 2002 to 2007, and we can’t wait to see what new adventures Kim, Ron, Wade and Rufus get up to for the upcoming flick. Luckily we won’t have to wait for long! As Deadline reports, the live-action film is set to start production this summer with a debut date sometime in 2019. What’s more? A teaser trailer for the forthcoming remake has been released by Disney, and we can’t wait to see this teenage crime fighter on the big screen. Are you excited for the new Kim Possible movie? Let us know in the comments below!